Whole body plethysmography is an application whereby ventilatory parameters are measured while the subject is conscious and unrestrained. 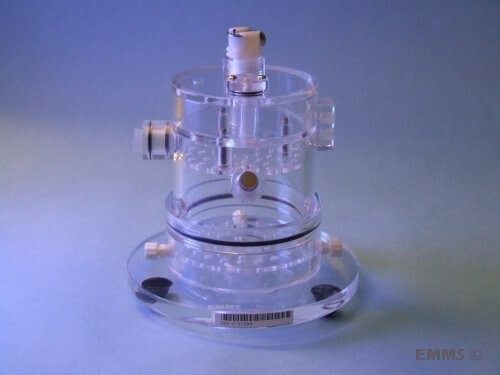 By the use of bias airflow supplies, CO2 levels, temperature and humidity are maintained at normal levels enabling measurements to be made over several hours. During inspiration there is a slight net pressure rise within the plethysmograph due to increased temperature and humidity of the air as it enters the subject’s lungs (gas conditioning). During normal breathing, this pressure difference is directly proportional to the respiratory pattern of the subject, allowing the researcher to measure respiratory rate and tidal volume, in accordance with ICH S7 Guidelines. 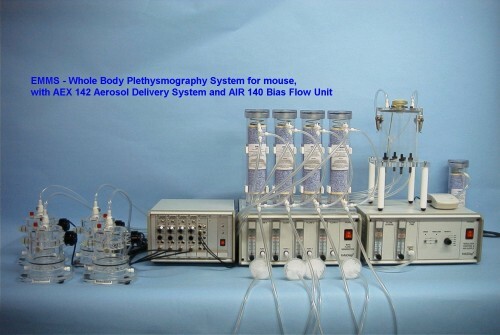 The system is commonly used in airway hyper-reactivity studies where, in addition to changes in ventilatory parameters, valuable data can obtained by quantifying changes in the shape of the respiratory waveform, e.g., Penh. However, it should be noted that when bronchoconstriction is present, the respiratory signal is dominated by the effects of gas compression and therefore exact measures of tidal volume can not be determined.